Troopers member Casey Knopp submitted this photo and caption. How do you show your loyalty to your favorite corps? Some people buy a T-shirt, some get a tattoo. My dad wanted something that he could see every day. As it turns out, what he has created can be seen by thousands of people. My dad created the famed crossed sabers of the Troopers in our backyard using rocks and white paint. These sabers are visible to anyone flying over our house in Wyoming. My dad starting working on the sabers in 2005 during my first tour with the Troopers and has made enhancements each year. Each saber in this version is about 43 feet long. 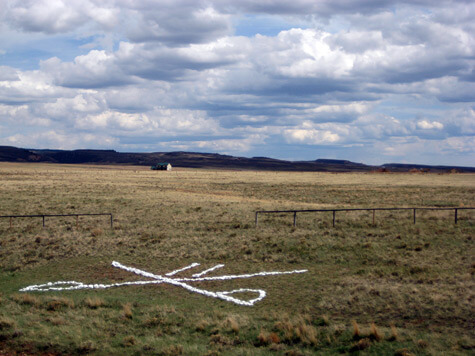 The sabers will be in our backyard for many years to come, so if you are ever flying north out of Denver, take a look down once you get into southeastern Wyoming, and you just might see the work of a dedicated Troopers parent and fan.